I’ve been promising you for a while that I’d be back with some more interviews to writers who had had their books translated to English. But summer can be a very busy season, not only in the writing department but also with school holidays, personal things, etc, so there has been some understandable delay. Finally today I bring you Mo de la Fuente. My confession… I was the one to translate her book. I have appended my review at the end, although this is my review of the novel in Spanish (I don’t comment on the quality of the translation. Mo has been kind enough to tell me that she has enjoyed the English version too, and I recommend the story wholeheartedly). Mo told me she couldn’t find any pictures she liked of herself (although I can tell you I like all her pictures), so…. I had always written short stories because I didn’t have the patience required for a novel. When I got the idea for my first book Ojalá Paula (Hopefully, Paula) I realised that it was time to sit down quietly in front of the computer and dedicate to the story a bit longer than just a few hours. I imagine that my story is that of most independent writers. After sending my manuscript to many publishing companies and having it rejected, Amazon seemed to be a good way to share what I do. The main problem I’ve had is promoting the novel, because sometimes one has to make hard choices between carrying on writing or dedicating one’s time to marketing and selling the books. The advantage: the freedom to write what you want within the deadline you choose for yourself. Zero pressure. The moment that I remember with the most affection (until now) in all my experience as a writer is the first positive review of my book and, of course, the many hours I spend writing. I don’t have a favourite genre. I’m a compulsive and eclectic reader. I read almost everything. What made you decide to translate your work? And what process did you follow to find a translator? I decided to translate the novel because my sales were increasing day by day in the United Kingdom. 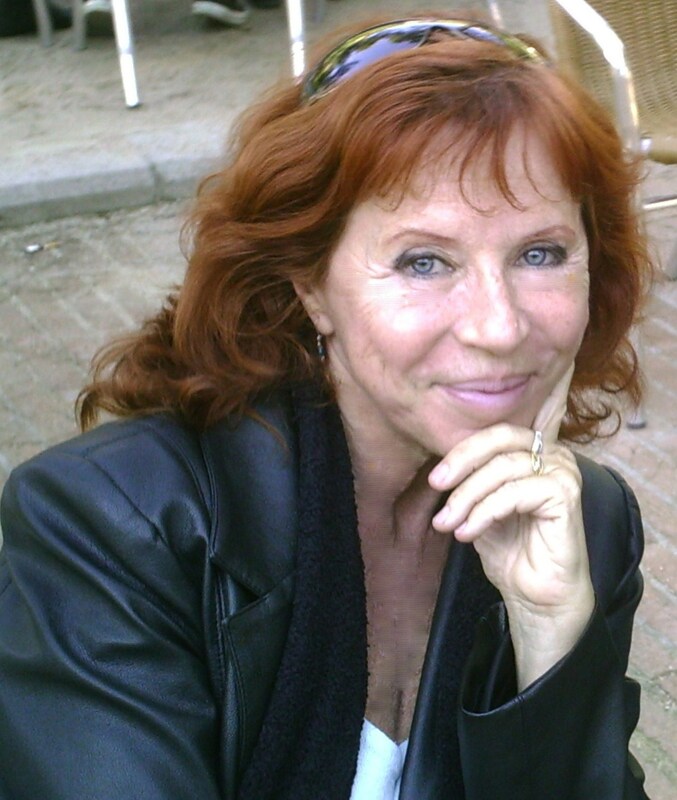 When it was time to choose a translator I chose Olga Núñez Miret because she had the characteristics I was looking for: a writer in her own right and one who lived in the United Kingdom. Tell us a little bit about your novel. The Quiet Island is a police procedural story with a very singular backdrop, a magnificent island close to Alicante, and I think the profile of the protagonists is pretty unique too. The public have particularly liked the character of Mónica Esteller, sub inspector in the case, with a troubled past that is slowly uncovered throughout the novel. Any advice for fellow writers (especially new writers). I don’t think I’m the best person to give any advice other than to enjoy writing and to keep your feet firmly on the ground at the moment of publishing. What I mean is: it’s difficult to live of your writing. It’s likely that one’s favourite book struggles to find any readers but, what does it matter? Apart from any success of sales, a true writer will never be able to stop writing, so, let’s enjoy it! My review. 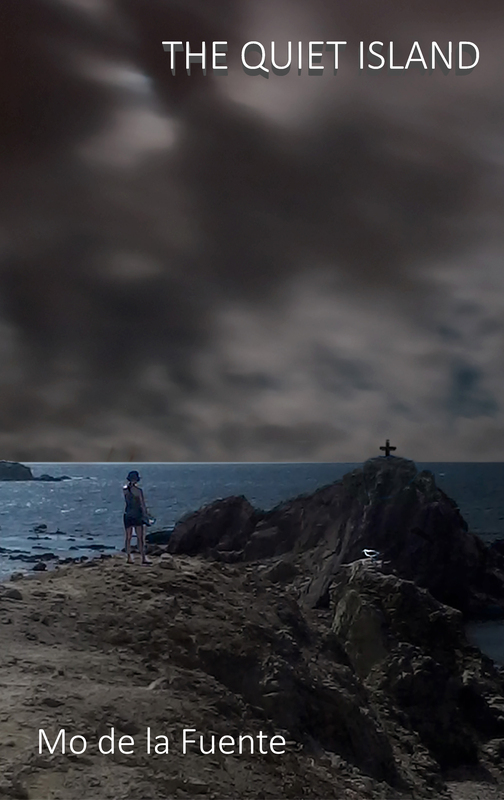 An island, a Mystery and Unforgettable Characters. I don’t read exclusively a single genre, although I freely admit that I like thrillers and I read quite a few of them. In part because they are like a puzzle we try to solve thanks to the clues the text gives us, in part because I like to see how the writer manages to bring something new to the genre. And for me, no matter what type of story I’m reading, finding interesting characters I can connect with it’s the most important thing. This novel takes place in the in the small island of Tabarca, in the Mediterranean, off the shore of Alicante. As several of the reviews of the book note, reading the novel makes one want to visit it, because of the wonderful descriptions of the peace and quiet, the thought of a place with no cars, without pollution, and calm. In such a small place, where everybody knows everybody else (apart from the tourists, of course) and where nothing ever happens, a girl’s disappearance is an event that upsets everyone. And when Clara turns up dead, things only take a turn for the worse. The combination of the place and the setting with the investigators: Hernán, an inspector sent there god knows why, Mónica, who had been sub-inspector in Barcelona but decided to quit due to personal reasons, and Raúl, the only one not hiding from something and who is totally happy there, works beautifully. The investigation is hindered by circumstances (even with the arrival of the inspector, there are only three police officers in the island, there’s no lab, and now way of following correct protocol) and the lack of resources (an excellent commentary on the budget cuts Spain is suffering) and little by little we discover more details about the island’s inhabitants and about the members of the police. I really enjoyed the ending (that I won’t talk about in detail as I don’t want to spoil the surprise) and it rounds up a novel that although short is long enough to intrigue and touch us. I found Mónica’s personal story, closely related to the case, fascinating, and it would make a great novel (or more than one) on its own. Apart from the details, for me the author manages to portray complex psychological aspects and the reactions of the characters in a very accurate manner, by using several points of view, that help the reader get under the skin of the characters, sharing in their emotions and their life experiences. For me, Mónica, María (the victim’s mother) and the island of Tabarca stand out in the narration and I’m sure I won’t forget them in a hurry. Thanks so much to Mo for the interview and for her novel, thanks to you all for reading, and remember, like, share, comment and CLICK! Meet YA Fantasy author Kelly Martin and watch as she reads from HEARTLESS, book one in the Heartless series Then get to know her as she shares a favorite quote and poses a fun trivia question. Be sure to leave a comment to enter the giveaway for a signed paperback of the same. Summary: Who is really the monster? Meet YA Fantasy author Michelle Madow and watch as she reads from ELEMENTALS 1: THE PROPHECY OF SHADOWS. Then get to know her as she poses a fun trivia question. Be sure to leave a comment to enter the giveaway for a signed paperback of the same. Summary: Witches are real. They’re descendants of the Olympian gods. And now, five witches gifted with elemental powers must fight to stop a war against the Titans. 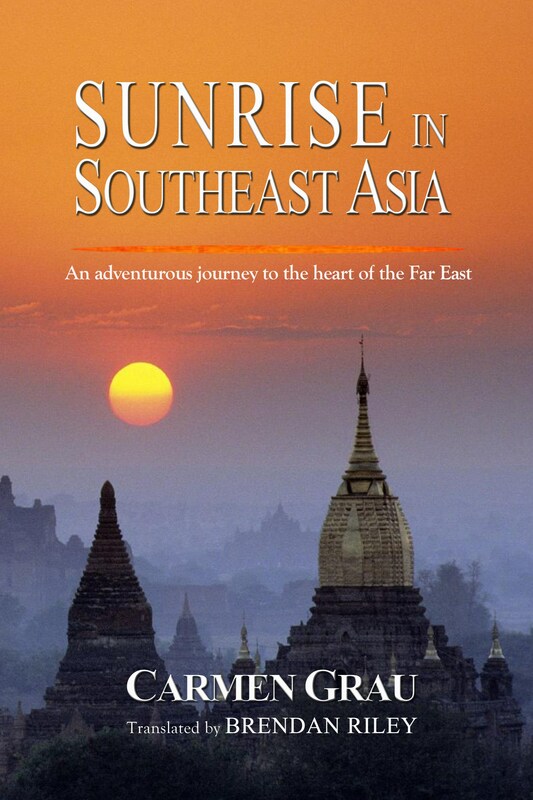 #InterviewsInTranslation ‘Sunrise in Southeast Asia’ by Carmen Grau (@CarmenGrauG ) A traveller and writer Down Under. As you know I try to bring you writers who mainly publish in Spanish and whose works have been translated to English to help you discover their wonderful offerings. 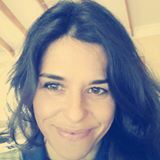 Today, I have the pleasure of bringing you Carmen Grau, a writer from Barcelona (like me) who after travelling widely (and she keeps travelling) now lives in Australia. Therefore the interview title is a bit of a misnomer as she has written it in English, but I thought you’d find it fascinating. And it’s a topic fairly different to the fiction I usually bring you. If you have children you’ll find her take on children’s education pretty interesting too. And here, without further ado, I introduce you to Carmen. Carmen Grau was born and grew up in Barcelona, Spain. She holds a B.A. in English from the University of Barcelona and a B.A. in Liberal Arts from Providence College, R.I. She writes in English, Spanish, and Catalan. She has traveled extensively and lived in different countries like the USA, Singapore, Malaysia, and Australia. In the year 2000 she set out on an unplanned journey around several Southeast Asian countries, and a year later she wrote “Amanecer en el Sudeste Asiático” (Sunrise in Southeast Asia), the number one ebook in all travel categories on Amazon Spain in 2012 and 2013. 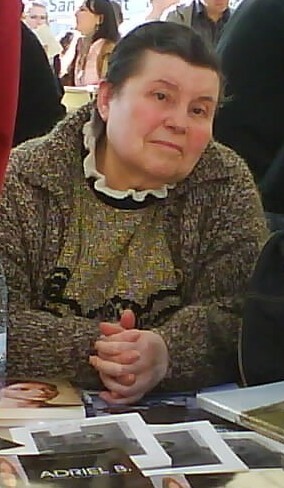 In 2004, she wrote the novel “Trabajo temporal”. In 2013, she published a second travelogue, “Hacia tierra austral”, which tells her journey on board some of the most legendary trains in the world, from Barcelona, Spain to Perth, Australia. The novel “Nunca dejes de bailar” is her most recent work, published in February 2015. She writes regularly in her blogs: elblogdecarmengrau.blogspot.com, in Spanish, and raisingchildreninfreedom.blogspot.com, in English. Apart from writing and traveling, Carmen has many other passions like cooking, walking, and reading; most of all, spending time with her two unschooled sons, Dave and Alex. She is a child advocate and a firm believer in the right of children to self-education. When not traveling, Carmen and her two sons live in Dunsborough, a small town in the South West of Australia. When and where did you start writing? I started writing when I was little. I remember writing my first book when I was eight. I don’t know what happened to it, but I still keep the journals I started when I was ten or eleven. I never stopped, but I did burn some of the later journals so that my siblings would stop wanting to read everything I wrote. I find this very ironic now because they are not interested in reading my books. I don’t mind and we still get along great. I published my first book Amanecer en el Sudeste Asiático (now available in English as Sunrise in Southeast Asia) on Amazon in 2012. I wrote it in 2001, right after my seven-month journey around Southeast Asia. I tried to get it published in Spain with no success. In the meantime, I kept travelling and living life. I also got distracted with marriage and kids. One day it dawned on me that the book had been sitting in a drawer for ten years. I only gave it to read to friends who knew about it and asked for it. One day a writer contacted me. She had heard about my book through a common friend and wanted to read it. She liked it and encouraged me to do something about it. So I decided to try again to get it published in the traditional way. 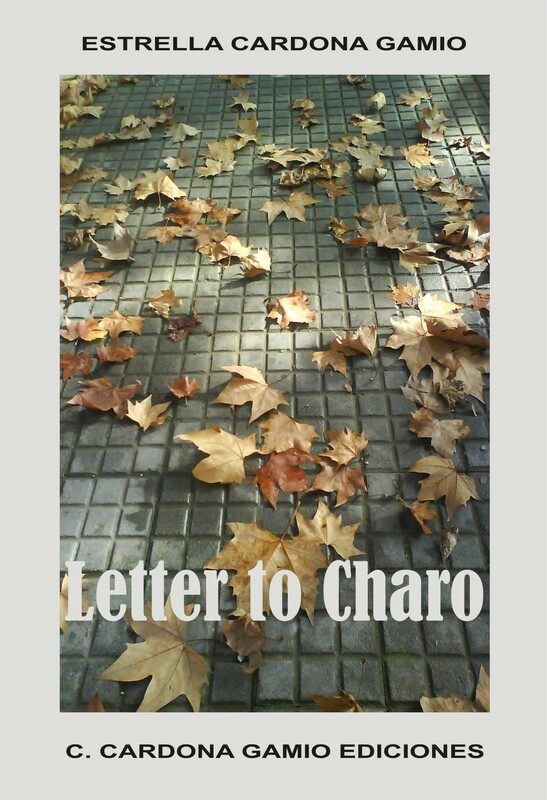 I sent it to over thirty literary agents in Spain. Four of them replied and one said they loved it and would be happy to represent me. However, they did not manage to find me a publisher and blamed it on the current economic crisis in Spain. It was then, at the end of 2011, when I decided to self-publish my book using my small second-hand book business name, Dunsborough Books. The book finally came out in April 2012 and started selling on Amazon straight away. Soon it became number one in all travelling categories on Amazon and has remained at the top since its publication. After that, I was encouraged to keep self-publishing and, of course, writing, which I had never stopped doing. Since then, I have been contacted by traditional publishers who are interested in my work, and I might consider trying this other way, but for the moment I am happy as an independent author and publisher. Do you have a particular moment about your experience as a writer that you remember with particular affection? I can’t think of one precise moment. I have lots of anecdotes regarding my readers which I cherish. Once a reader found one of my books on a bench. He picked it up, read it, loved it, and wrote to me to let me know all this. Another time, my sister went to Thailand for a month and she met a couple who started telling her about this great book they had just read. It was my book! As a reader, I don’t have a favourite genre, but there are genres I wouldn’t read even if they paid me. I read a lot of non-fiction. I love travel books, but also psychology and science books. And I love reading fiction too, mainly literary fiction. As an author, I aspire to write good quality contemporary fiction and also non-fiction about the things that interest me, like education and travelling. What made you decide to translate your book? And how did you go about it? The Spanish version of my first book was so successful that I thought I should try to have it translated into English. Besides, all my English speaking friends asked me for it. At the time, I didn’t think I would have the patience or skill to translate it myself, so I looked for a professional translator. Someone recommended me one that turned out to be quite unprofessional. I saw that straight away, so nothing was lost. Then I did some research myself, through Linkedin. I found a translator that seemed very talented and professional and started working with him. It was a great experience and I will be recommending him to a lot of people. Have your book read, proofread and revised by as many people as you can, prior to publication. You’ll be surprised at how disparaging your friends’ opinions will be. In the end, though, you decide what changes to make. Write for yourself, you’re the first one who has to like it. If you like it, many other people will like it too, because you’re not that unique. That’s what I do, anyway. A post by Brendan Riley, the translator, about the book. Thanks so much to Carmen for telling us about her book and her writing, thanks to all of you for reading, and if you’ve enjoyed it, like, share, comment and CLICK! #InterviewsinTranslation. 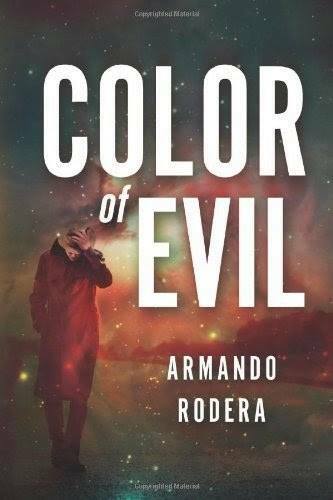 ‘Color of Evil’ by @ArmandoRodera. Not your usual thriller. As you know I’ve been sharing interviews with writers who usually publish their books in Spanish but who have now had one or several or their novels translated to English. Today I have as a guest Armando Rodera one of the authors who first discovered the possibilities of self-publishing his work, and who has lived through many changes in publishing. But I’ll let him tell us all about it. I was born in Madrid in 1972, and I became a voracious reader from a very young age. I studied Telecommunications and IT, and worked for a decade in the technological sector until I decided to go into literature. 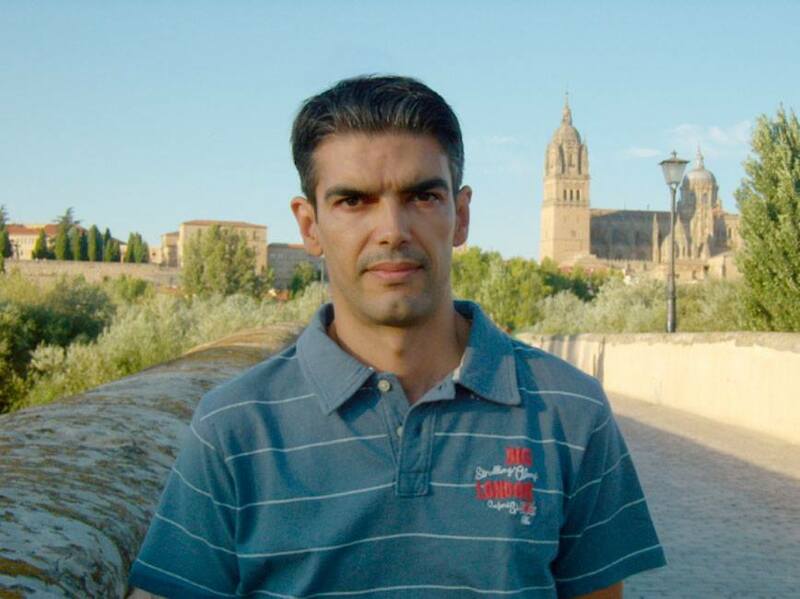 Pioneer of digital publishing in Spain, I landed in Amazon in 2011. Since then and in the last four years, I’ve become the published author of El color de la maldad (Color of Evil), a bestseller police-thriller that was my first publication, La rebeldía del alma (The Rebellion of the Soul), an intimate thriller that has been global number 1 in Amazon Spain, Juego de Identidades (Game of Identities), novel of action and adventures, and Caos absoluto (Absolute Chaos), a dystopian police thriller. I also have a non-fiction work, La llave del éxito (The Key to Success). I’ve published all these titles independently in Amazon. My first traditionally published work was El enigma de los vencidos (The enigma of the defeated), a mystery novel with a historical background that was published by Ediciones B in 2012. In 2014 Thomas & Mercer published the English version of El color de la maldad, which has been very successful in the USA, UK and Canada. I’m also editorial reader, manager of content and freelance consultor in projects of marketing online and new technologies applied to the publishing sector. I’ve been writing since I was a small child, either handwritten letters or short tales. When I was 11 or 12 I won a writing competition at school. After that, once at college, I dared to write some nonsense that was soon forgotten. It wasn’t until the end of 2003, a period with numerous changes in my life, not only personal, but also with regards to my family and my profession, that I decided to take the plunge and I started on my first novel, El enigma de los vencidos. An inflection point that was also greatly influenced by my reading the fantastic La sombra del viento (The Shadow of the Wind), by Carlos Ruiz Zafón. I told myself that someday I also wanted to write a great work and if I could ever managed to make one of my possible future readers feel even a tenth of what I had felt when reading that novel I’d be more than satisfied. I wrote my first two novels between 2004 and 2007. After that I went through all the stages that any new writer has tried in order to get his works published: submit to book awards, send the manuscripts to agencies and publishing companies, etc. I even had a contract signed with a company that self-published books in paper, but finally that was rescinded for a variety of reasons. Finally I gave up trying to follow the usual routes of the sector and decided to publish in Amazon in July 2011, when a lot of people didn’t even know of the existence of the KDP platform for authors. In a few months my life changed completely. El color de la maldad very soon became a bestseller in America and El enigma de los vencidos did the same in the Brand-new Kindle store in Spain. That novel was then taken up by Ediciones B, but I continued to publish on my own, and I even manage to reach the global number one in Amazon.es with La rebeldía del alma and many successes with my other works. Then came the launching in the Anglo-Saxon market of Color of Evil and that was the fulfilment of another dream of any writer. Digital technology and Amazon Kindle Store have allowed me to reach dozens of thousands of readers all over the world and this is something that I could never have imagined when I started writing my first book. What has been the best moment of your career as a writer so far? At the beginning of 2012, Ediciones B and B de Books pushed for a new model, and trusted authors that were practically unknown to the great public, but who had been successful with their digital novels. That group of authors that I was a part of appeared in several national newspapers and magazines in Spain (El País, El Mundo, El Periódico de Cataluña, Tiempo, Interviú, etc) and we had great media repercusion. Shortly after that, our novels were presented in an incomparable setting, the Feria del Libro de Madrid (The Book Fair of Madrid), in the well-known Parque del Retiro (Retiro Park) of Madrid. In my case I was lucky enough to be signing books for two days at that Book Fair, some memorable afternoons I’ll remember forever. Also, the book was distributed throughout the whole of Spain and some American countries with a great reception. Of course, it’s a wonderful feeling to find your own novel on the new books exhibits in the bookshops. I’ll always have a wonderful memory of that experience and I hope to repeat it again in the near future. What’s your favourite genre (both as reader and as writer). When I was a young child I fell in love with the novels of Alexandre Dumas and Jules Verne, adventures that have marked me forever. After that, already at high school, I became familiar with the works of Stephen King, who has become one of my favourite authors. Among the writers of detective stories I can’t forget Conan Doyle and his wonderful Sherlock Holmes. And much later I lost myself in Daniel Sempere’s stories, and his Cementerio de los libros olvidados (Cemetery of Forgotten Books), a crucial moment in deciding to dedicate myself to writing. In general I enjoy thrillers, detective and police stories, adventures, intrigue and also historical novels or even horror novels. I’m an avid reader and I devour between 60 and 80 books per year. I love to read. I can mention many names: John Grisham, F. Forsyth, Ken Follet, Preston & Child, S. King, David Baldacci or Dean Koontz, among others. And of course, Spanish authors as popular as: Pérez Reverte, Almudena Grandes or Matilde Asensi, although in the last few years I’ve had the pleasure of personally meeting and enjoying the books of a new batch of Spanish writers creating new works today, in paper as well as in digital formats, that perhaps aren’t quite as well known to the big public. That as a reader. As a writer I also tend to write in the same genres. Definitely, action and intrigue novels, thrillers, if we want to define them that way, but always with something else: drama, mystery, police procedural elements, some romance, a historical or suspenseful background. I like to fuse genres. What made you decide to translate your work? And how did you find a translator? My novels have been very well received in the States from the moment I started on my digital adventure, and that was why I wanted to reach the Anglo-Saxon market. I studied the possibility of getting one of my books translated independently, but the costs were prohibitive for me or the quality of the work offered for me to sample did not convince me, and I parked the project for a while. Then I heard about the possibility of sending a proposal to Amazon Publishing, the editorial arm of Amazon. That’s what I did with my novel El color de la maldad, and to my surprise, in less than two months they decided to send me a contract for the book. They got it translated and published it in 2014 under Thomas & Mercer’s company, the publisher of the group specialising in thrillers and mystery novels. 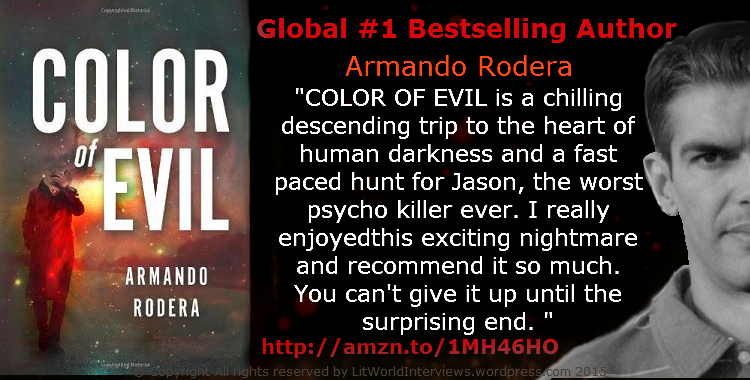 Color of Evil has been number 1 for several weeks in the Police procedural category in the Canada Kindle Store, and also Top 20 in the category of International thrillers in the United Kingdom. It was also a prominent thriller in that category in Amazon.com, staying in the podium of ‘Mystery and International Crimes’ for several weeks. The genesis of this novel came in the spring of 2007, when after visiting as an occasional tourist several rural areas in our country; I had the inspiration that they could be the perfect opening point for an unconventional police procedural novel. 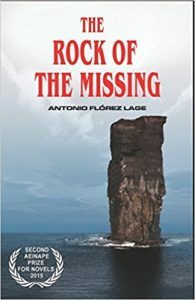 From then on I began to build up a plot that became more and more similar to the Anglo-Saxon thriller, becoming somewhat detached from the usual canons of the classical noir Spanish crime novel. What I found more difficult to create was the character of Jason, the psychopath around whom the whole plot revolves. He was the most complex of all the protagonists, due to the complexity of his psyche. I wanted to narrate what the psychopath felt and thought from his own point of view, and it was hard work, and that was why I also explained his childhood and adolescence, the main triggers, but not the only ones that lead him to become a blood-thirsty assassin. When I started writing I knew the novel would revolve around a serial killer that leaves a trail of crimes throughout the whole of the Spanish geography, but I didn’t have his leitmotif. I had in mind the film Seven or Harris’s novels with Doctor Hannibal Lecter as protagonist, but I had no idea which path the novel would lead me into until I started writing. Later I found a solution that might surprise readers quite a lot. In the first draft I didn’t name the assassin and the narration became quite complicated at times, especially during his interactions with other characters. I wanted to give him a name he chose himself, Jason, although we don’t get to know the real one until the end, to help with the plot building and to embody on someone concrete the brutality of those criminal acts. I would never have imagined the reception my novel got, especially in America. “El color de la maldad” was published on Amazon.com in July 2011 and for over three years it has been the best-selling police procedural in Spanish in the American continent, becoming a longseller in América. The reviews and comments about this novel, in both sides of the Atlantic, have been almost unanimous throughout its trajectory, something I’m very proud of. The icing on the cake was a joint reading organised on the net, where 16 blogs agreed to write very positive reviews about this book. I don’t feel qualified to give advice; I’m still fighting and learning every day. But to any new writer I would tell him or her that this is a long-distance race, that one must fight for the things one believes in, but also make sacrifices. Read and write every day, learn from those who know more than us and try and improve every day. And above all, to have a polished and as perfect as possible manuscript if they want to publish it through Amazon, with the right formatting and an attractive cover. After that one can do as much promotion as one likes but the readers have the final word and if they don’t like a work, it will all be in vain. We are all different and so are our challenges, but we have the right to fight for our dreams. Thanks so much to Armando Rodera for his interview and for sharing his book with us, thanks to all of you for reading, and you know what to do, like, share, comment and CLICK! As you know, for the last few weeks I’ve been bringing you the work of some authors who although well known to Spanish-speaking (and reading) audiences, you might not be very familiar with. And I’ve taken the chance to ask them a few questions so you can know them better. Today I’m pleased to bring you a writer from my home city, but who is a citizen of the world. Fernando Gamboa. 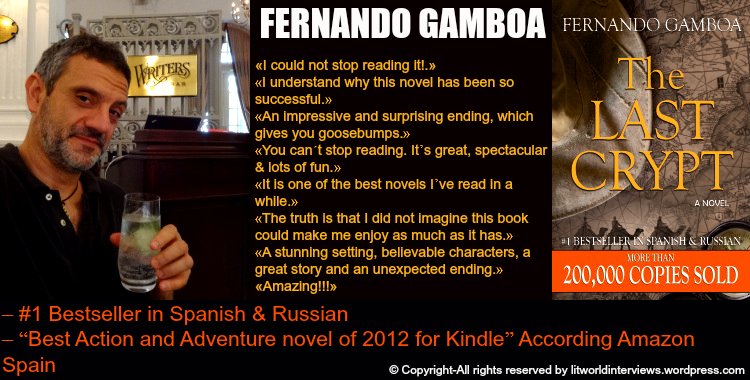 Fernando Gamboa (Barcelona, Spain, 1970) has devoted most of his adult life to traveling through Africa, Asia and Latin America. He has lived in several countries and worked as a scuba diver, Spanish teacher, entrepreneur, poker player and adventure guide. 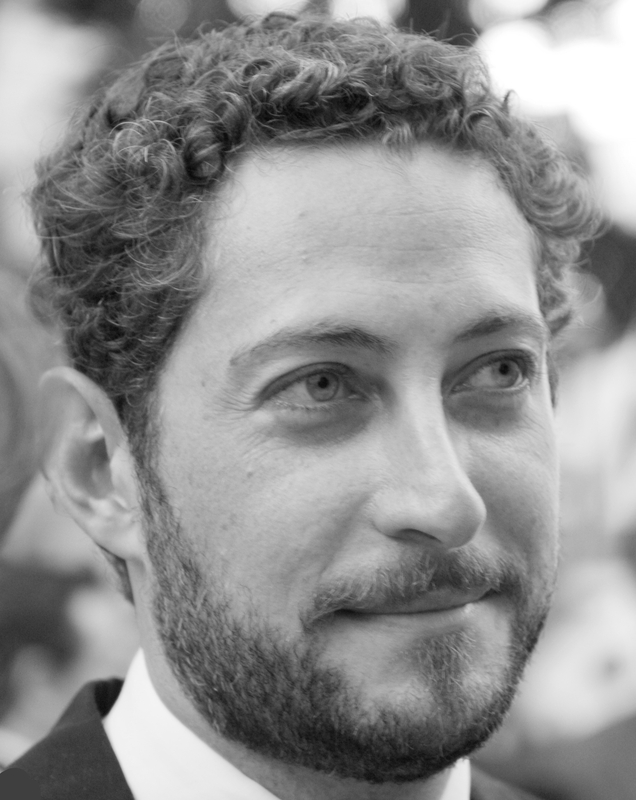 In the year 2007 he published his first novel La última cripta (The Last Crypt) and since then he has published five more novels: Ciudad Negra (Black City), La historia de Luz (The Story of Luz), Guinea, Capitán Riley (Captain Riley), and Tierra de nadie (Nobody’s Land) just over a month ago. Thanks to the hundreds of thousands of books he has sold in Amazon, it could be said that he is the independent Spanish author most read in the world. I began to write in 2005 as a result of serious back injury that left me practically unable to move for two years and as I had to stop traveling during that time, I had no other option but to travel using my imagination. The Last Crypt was born from that time, and as a consequence, what has become my literary career. Could you tell us something about your experience as an independent writer? My first two novels were published by a traditional publishing company but the experience wasn’t a good one, so when Amazon appeared in Spain, I jumped on the train of the self-publishing and I carry on like that, very happy to have taken that step. I strongly believe that self-publishing is the present and will be the future of the literature of the world and I recommend all authors to join that revolution, so beneficial to those of us who want to turn writing into our way of life. Do you have a moment you remember especially of your experience as writer? For me the best has always been the affection the readers have shown me. I know it may sound trite but when hundreds of readers write to you to congratulate you personally on a novel and to thank you for making them dream through four hundred pages, it’s very touching. Do you have a favourite genre (both as a reader and as a writer)? As a reader, any novel that makes my heart beat faster and fires up the imagination, from sci-fiction to adventure or mystery. As an author, I’m less worried about the genre than about being able to awaken the same emotions I look for as a reader. I imagine that is part of the trick to “hook” the readers: put yourself in their place and do not write ‘the end’ in a novel until, when you read with the eyes of an anonymous reader, you enjoy it as much as if you were a pig in a pigsty. What made you get your work translated? And what process did you follow to find a translator? The big world market of literature is dominated by books in English. According to the figures we are 500 million of people who speak Spanish, but what nobody says is that not many read. Very few people in Spain and even fewer in Latin America, so I think that translating one’s books is the best way to make a living out of writing, on the long term. My current translator is a friendly woman from the States who lives in Cantabria (Spain) whom I met through the friend, of a friend, of a friend. She has translated two of my books to English (The Last Crypt and Black City, which is still being edited and I hope will be on sale before the end of the year) and the truth is that we have become very good friends. 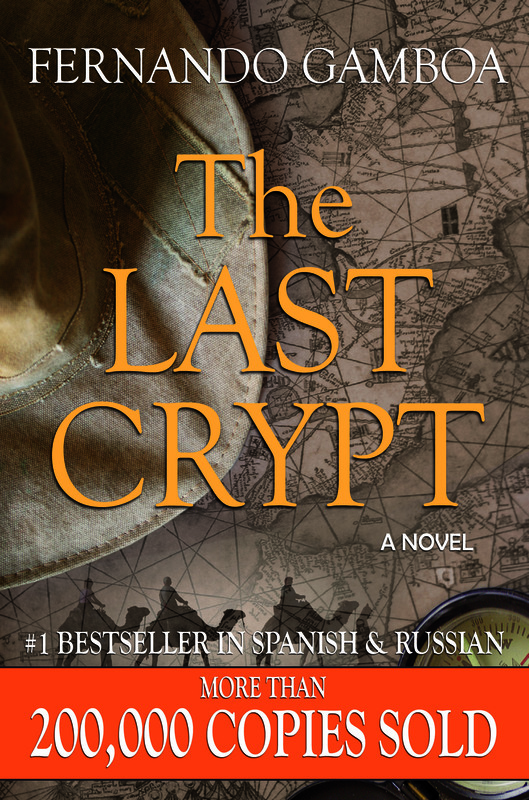 The Last Crypt is an adventure novel that has sold over 200000 copies in the world in Spanish, Russian and Italian, as well as being the bestselling book (to date) in Amazon Spain, ahead even of such mega-bestsellers as Fifty Shades of Grey. That made me chose it as the one to get translated to English first, hoping that English readers will also enjoy it. To never give up and to persevere if they want to become professional writers. Tenacity does not guarantee success, but without tenacity it is impossible to achieve it. Diver Ulysses Vidal finds a fourteenth-century bronze bell of Templar origin buried under a reef off the Honduras coast. It turns out it’s been lying there for more than one century, prior to Christopher Columbus’s discovery of America. Driven by curiosity and a sense of adventure, he begins the search for the legendary treasure of the Order of The Temple. 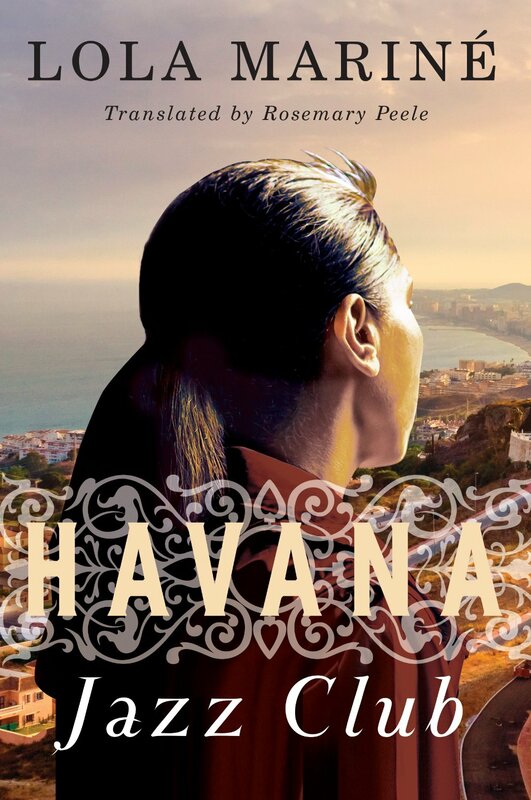 Together with a medieval history professor and a daring Mexican archeologist they travel through Spain, the Mali desert, the Caribbean Sea and the Mexican jungle. They face innumerable riddles and dangers, but in the end this search will uncover a much more important mystery. A secret, kept hidden for centuries, which could transform the history of humankind, and the way we understand the universe. Thanks so much to Fernando for the interview and for bringing us his book, thanks to all of you for reading, and if you’ve enjoyed it, like, share, comment and CLICK! And I’ll make sure I keep you informed when his next book, Black City become available in English too!